Wow--I was on a roll in mid-April and then my uncle died and we were out of town for a long weekend, followed by being gone for birthdays and suddenly it was May and May is the crazy month for me with the end of the school year and all of the extra work that entails. Anyway--I thought I'd share some of the stuff that I have created between my last post and now to tide me over until I have time to create again! Our public library was generous enough to invite all the teachers in McPherson to come and get any books we wanted from their All School's Day Book Sale--for free. I got a big stack of great books! 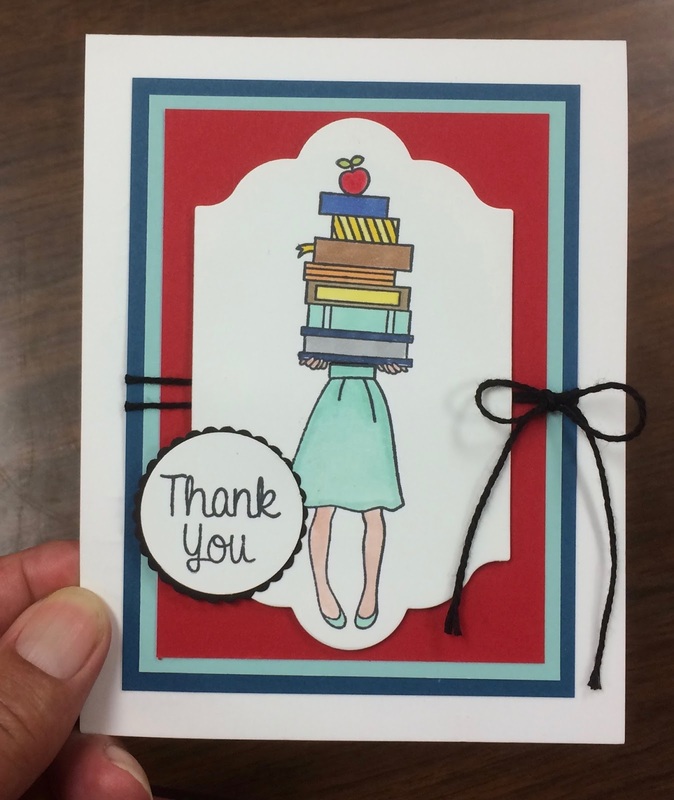 This card is sort of what I looked like carrying all my books out to the car! It uses a new hostess set from the upcoming catalog called "Hand Delivered." I colored it with my Blends which made it easy peasy to create!